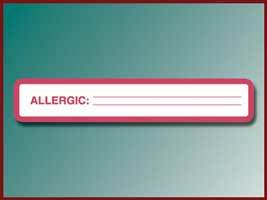 Label has two lines to list multiple allergies. 5½” wide by 1” high. White label with red border and printing. 175 per roll.